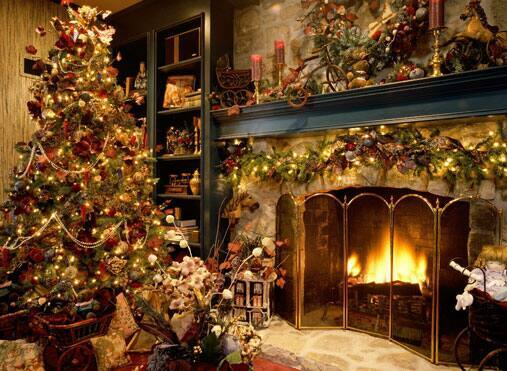 12 Facts About Christmas You Did’t Know! As the holiday season approaches, people across the globe are ready to indulge in the music, lights and the spirit of Christmas as they spend time with friends and family. Christmas offers a mix of religious and secular traditions as its origins are just as mixed and varied. Here are a few interesting facts about Christmas you might not know. 12. We frequently abbreviate Christmas as X-mas because of ancient tradition. X is the Greek letter “chi” which is an abbreviation for the word “Christ” in Greek. While many people abbreviate Christmas as ‘Xmas’, Church songbooks even many greeting cards won’t do that. Xmas is popularly associated with materialism, and people who treat it as a general ‘holiday’. 11. Christmas was illegal in the U.S. until 1836 as it was considered an Ancient Pagan Holiday. Believe it or not, Christmas was criminalized in the US for 260 years as it was considered a ‘pagan holiday’! It was only in 601 that Pope Gregory I wrote to Melitus (a missionary in England) asking him ‘not to stop such ancient Pagan festivities’ but to adapt them as the Church’s very own, ‘only changing the reason of them from a heathen to a Christian impulse’. The idea of Christmas spread across the globe between 900 – 1000 Common Era (C.E.) as a part of winter celebrations and evolved into what it is today. Back in 1974, Canada Post’s Montreal office noticed an increasing number of letters addressed to Santa Claus. As these were mostly from young children, the staff started answering the letters themselves. The number of mails shot up manifold, and Canada Post had to establish an official Santa Claus letter-response program in 1983. By 2011, Santa’s mails were handled with help from 11,000 volunteers, most of whom were current or former postal workers. Each had to devote nearly 21 hours to this task at hand. 9. British people say “Happy Christmas” because in the 19th century the word “merry” also meant “intoxicated” so they wanted to separate it from public insobriety. The connotation ‘Merry Christmas’ was popularized by the 16th century secular English carol ‘We Wish You a Merry Christmas,’ and even the first commercial Christmas card, produced in England in 1843. However, the alternative ‘Happy Christmas’ was preferred in Great Britain and Ireland in the late 19th Century. 8. 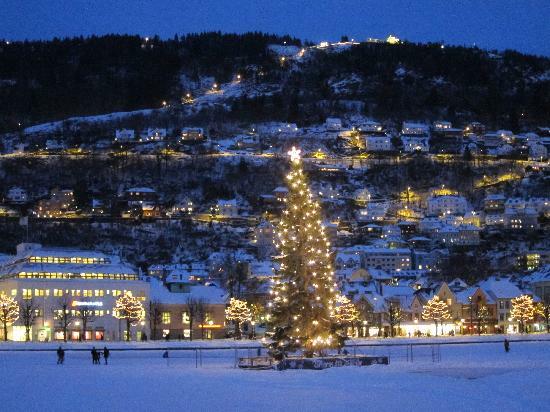 Norwegians pay half tax in November so everyone has more money for Christmas. The Norwegian government has introduced a tax break in the month of November. That means all earnings in the month are taxed half the regular amount. As most employers pay employees’ salaries around the middle of the following month, it means the extra money comes in right before Christmas. 7. In Catalonia (Spain), a smiley-faced piece of wood called “Shitting Log” poops out the presents in Christmas. The ‘Shitting log’ or ‘Poo log’ is found in many Aragones and Catalan homes during Christmas. This hollow log is about 30 cms long. IIt recently comes with two or four stick legs and a broad smiling face. Some even decorate it with a little red sock hat and a three-dimensional nose. After the Feast of the Immaculate Conception (December 8), someone gives the log a little bit to ‘eat’ every night and covers it with a blanket so that it doesn’t ‘feel cold’. The reason behind children taking good care of the log is that it will poop presents on Christmas. On the day of Christmas, one puts the log partly into the fireplace and orders it to poop. As many modern homes do not have a fireplace now, some beat the log with sticks, while singing various songs. Once it’s done, kids leave to pray in another room. That’s when the relatives put the presents under the blanket. Next article This Song Kills, Literally! Over 100 People Reportedly Killed Themselves After Listening To this Suicide Song.